There's yet another problem with OpenSSL, the safety feature guarding our private Web communication. It's targets the handshake between your computer and a website. You can call this one the "handshake bug." 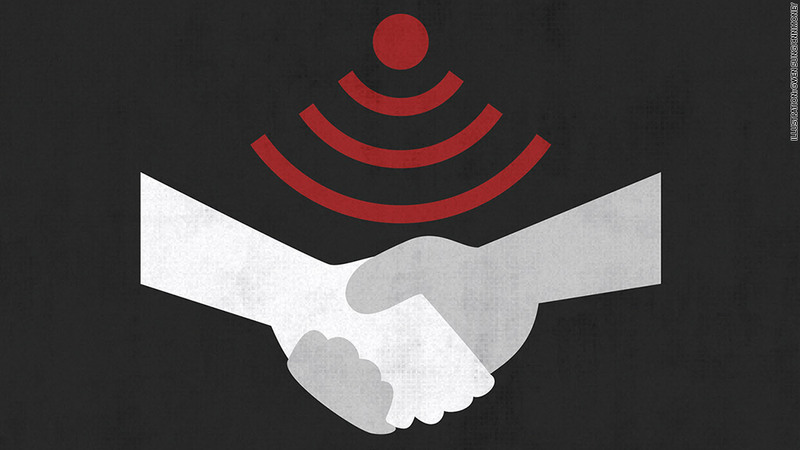 Computers and Web servers initiate secure conversations with one another in a process known as a "handshake." But this week, security researchers discovered a flaw in the way they shake hands. The bug allows a hacker operating between you and a website -- say, connected to the same public Wi-Fi network -- to snoop in on your Internet session. But it's yet another wake up call that your Internet security relies on a few volunteers. The OpenSSL Foundation is a tiny team of computer programmers that only recently started getting additional financial support from many companies that rely on this software. The Linux Foundation said OpenSSL has received about half of the $5.4 million that companies have donated so far to the Core Infrastructure Initiative, an effort to better secure the Internet. "The biggest reason why the bug hasn't been found for over 16 years is that code reviews were insufficient," Kikuchi wrote in a blog post. According to Qualys (QLYS) engineering director Ivan Ristic, these browsers are vulnerable: Android and Chrome (for Android). "We shouldn't be surprised that there are more flaws in OpenSSL," said Jean Taggart, a researcher at antivirus maker Malwarebytes. "Security is a process, not a product." And if you're still worried about the handshake bug? Keep yourself clean. Don't use strangers' Wi-Fi.